A 16th Century replica of the Italian design made to impress your guests. 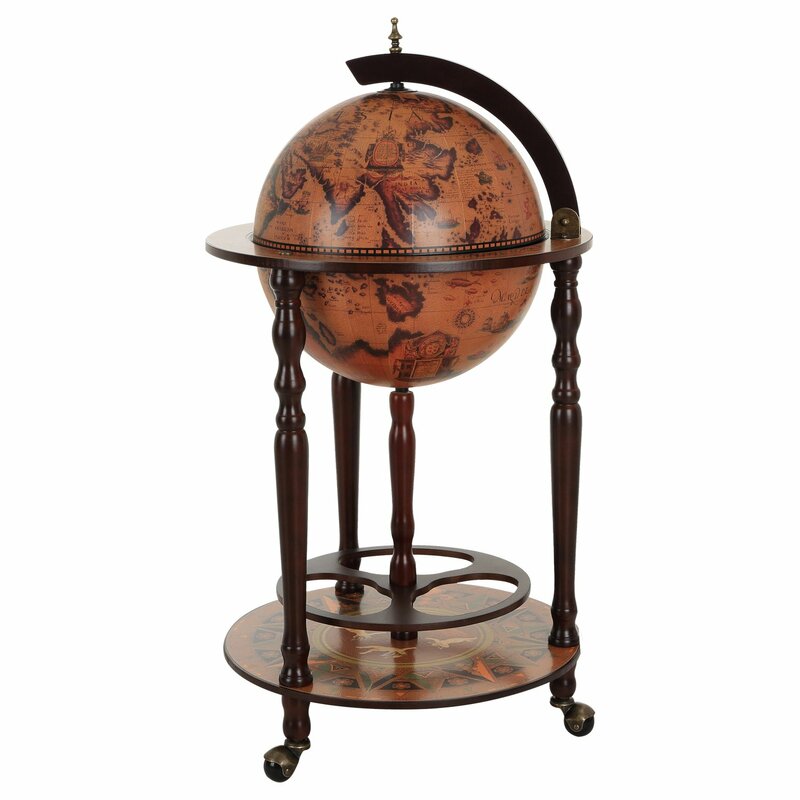 The elegant globe bar is covered in an exquisite old world-map that will enhance the surroundings of your room. Let the human migrate on the outside show the history while doves on the inside give a peaceful message. It has great space for your treasured bottles and glassed with a lower shelf allowing additional storage. Freedom of movement made easy by the quality wheels. Treasure this piece of art today.